With a view to ensuring that 2013 marks a year of efficiency in terms of distribution and supply of petroleum products across the country, under the present subsidy regime by the Federal Government. The Petroleum Products Pricing Regulatory Agency (PPPRA) has released new guidelines for the operations of marketers . This was the result of a strategic meeting held yesterday in Abuja between the PPPRA, Oil marketers and other key stakeholders in the downstream sector. The issues of consistency and dedication in the supply of petroleum products in the country, has been the pre-occupation of the Agency. Speaking at the meeting, the Executive Secretary of the PPPRA, Mr Reginald Stanley made it clear to the marketers that any one caught defaulting in the standard and operational guideline set out, will lose the Sovereign Debt Statement (SDS) access. Also the truck out policy introduced by the Agency, will be taken very seriously in terms of monitoring and ensuring that the marketers are rendering genuine service delivery. Under the truck out policy, fuel must be taken from a farm and distributed to filling stations. The Agency reiterated the fact that this year, effective and regular monitoring of the operations of the marketers in the areas of opening and closing tank dips as well as opening and closing meter readings at depots. The PPPRA boss also stated that any non-performing marketer will be sanctioned, and for the year, more routine inspections will be carried out on the tank farms of the marketers . 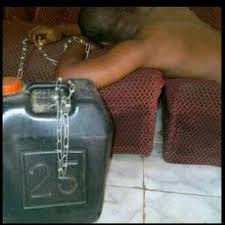 This will be done to wade off the tendencies of hoarding petroleum products.